Apple has it’s privacy restrictions, and the users are not supposed to juggle the iPhone or iPad with modifications to the core OS. Of course, Jailbreak provides the customizations and personalised features to the iOS. But not with iOS 9, iOS 10 and iOS 11. iPhone and iPad became inept since the release of iOS 9. That made iPhone or iPad users to look up for Best Cydia Tweaks 2018. We all know that we cannot jailbreak iPhone or iPad with iOS 9 or Later. Cydia is the best place for you to get Best Cydia Apps to customise your jailbroken iPhone or iPad. Cydia will help you customise the Settings, Apps, and tweaks, unlike the Apple App Store. Here is a wonderful Guide to Install Cydia Without Jailbreaking. It will bring you the Best Cydia Tweaks. That will help you personalise your iPhone in a way that you love. 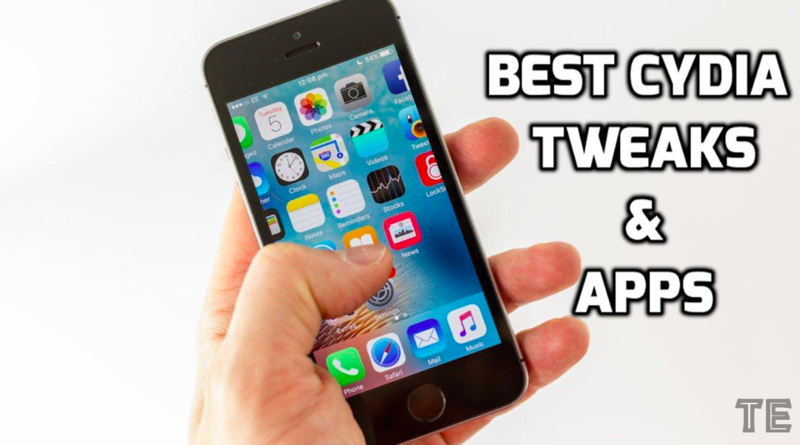 Today, I am going to provide Top 50 Best Cydia Tweaks and Apps to improvise the abilities of your iPhone and iPad. These Best Cydia Apps will add value to your iPhone or iPad. So, you will be able to enjoy the Cydia in the best way. Cream 2 is the latest version of Cream Cydia App. The Cream 2 app supports iOS 10, and it’s versions. 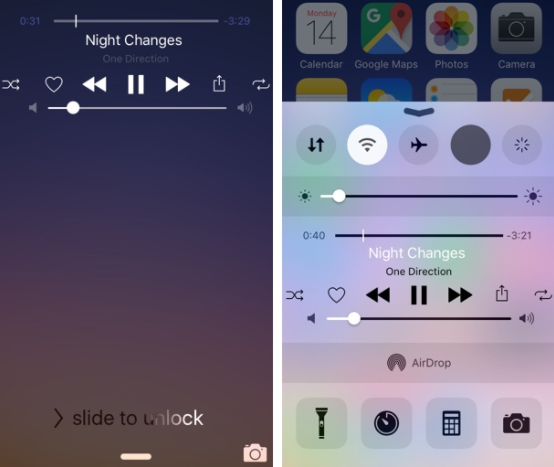 It will colourize the Control Center on your iPhone or iPad. The cream is a favourite Jailbreak tweak, and now it’s updated and released as a separate package in Cydia. It will apply different colours to the Toggles of Controls Center on your iPhone or iPad. Toggles that are enabled will come to a colour of your choice. Whereas, the toggles that are in disable state will be in a light grey colour. Cream 2 allows you choose any colour for the toggles of your choice. Cream 2 is not limited to particular colours, and you can have a bunch of colours that you can choose. We can say that this is one of the Best Cydia Apps for iOS 10, iOS 10.1.1/10.2.1, etc. To Install Cream 2 on your iOS 10 iPhone or iPad, Add (https://repo.cpdigitaldarkroom.com/) to Cydia. After adding, Go to the search tab and search “Cream 2”. Follow on-screen instructions to finish the installation of Cream 2 Cydia App for iPhone or iPad. 3D Touch Notifications is one of the Best Cydia Tweaks for iOS 10, iOS 10.1.1/10.2.1. It will allow users to reveal the hidden menus by touching and holding on any app. It will help you better interact with the notifications on the lock screen and notification centre using the 3D Touch. Normally, you may swipe left to reveal the Dismiss menu for the notifications. Whereas, 3D Touch Notifications Cydia App adds peek and pop menu to supported apps. That will help you show and apply various actions without a need to open the app. It will help you reveal and apply various 3D actions without a need to open the app. Press firmly on a notification on the lock screen iPhone or iPad to show the contents inside with Peek and Pop Menu. 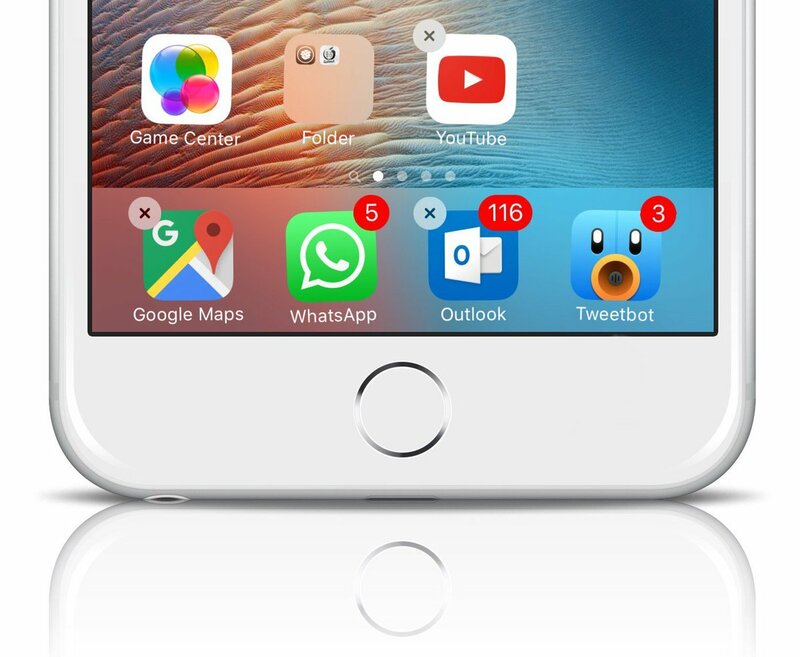 3D Touch Notifications Cydia App supports various system applications and third party apps. Check them right below. 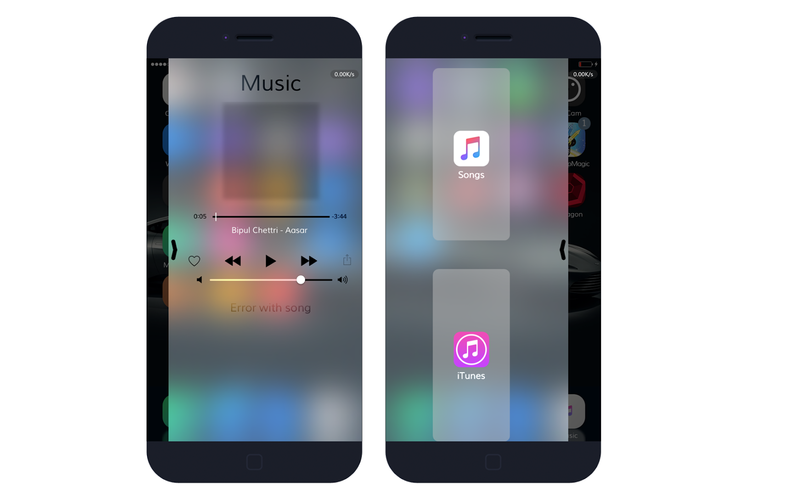 You can enable the 3D Touch Best Cydia Tweaks on iPhone or iPad on demand. Disable if you don’t want and enable whenever you need it. Select and Toggle on the Applications that you want to perform actions with 3D Touch Notifications app. This app will cost you around 1.5 USD. Harbor Cydia App adds an OS X Styled Dock to your iOS 8/9/10 or later. It is one of the Best Cydia Apps from Bigboss Cydia Repo (http://apt.thebigboss.org/repofiles/cydia/). It will help you add doc to your iPhone or iPad which is similar to the one in Mac OS X Yosemite. You can add multiple Apps and Icons to the Doc on your iPhone or iPad. It becomes easy to access the apps from Doc, rather than searching on the Home Screen. Of course, the size of the apps will become small if you place too many apps on the Doc. So, that will be a problem for users to access the apps. Moreover, Zooming effect comes with the Harbor made it simple to access the apps from a hideous bunch of apps on Doc. Icons on the Doc will start jumping whenever it gets new notifications. This option will also work even if the doc is not visible while using any app on your iOS device. Harbor also notify you about the apps that are running background. I can say Harbor is one of the Best Cydia Tweaks 2018. It is yet another one from the Best Cydia Tweaks 2018. 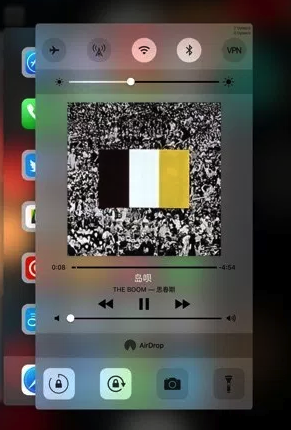 It will add Shuffle and Repeat buttons to your Control Center. So that, you can control the Music on your iPhone or iPad without unlocking the device. Of course, the default music app on iPhone or iPad works well. But it is missing few important buttons, and they are Shuffle and Repeat buttons. You need to unlock the iOS device to control the music. Carrot Cydia App will help you control the Music with those buttons on the lock screen, control centre and you do not need to unlock the device every time. The Carrot Cydia App is available at (repo.ioscreatix.com) repository. You will have few more tweaks with this app to personalise your iPhone or iPad. iCleaner is one of the Best Cydia Tweaks for iPhone or iPad. 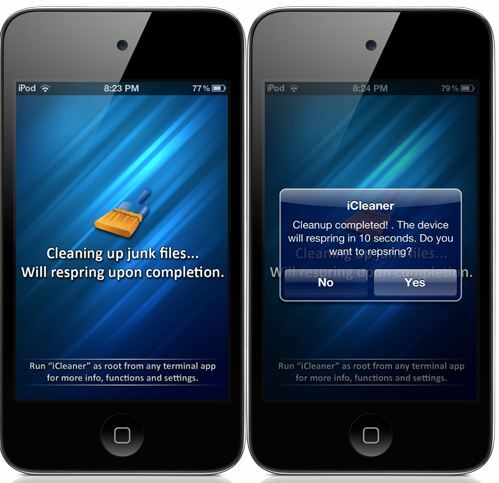 It will clean your iPhone or iPad and make it junk free. This app will fix the space limitations on your iPhone or iPad, and iPod Touch. Cleaning unnecessary junk, and log files will make some free space on your iOS device. Just launch the app after installation and toggle on the apps to clean with iCleaner. It will clean the empty attachments of iMessage, conversations that do not show up in the iMessage. iCleaner will clean the Cache and Temporary Internet files, Browsing history on Safari browser. That will help you free up space and preserve the privacy. Removes archived battery data, while current battery data remains untouched. The App can enhance the RAM by removing iTunes Art Files and 4-inch images, etc. The iCleaner app is compatible with iOS 8 to iOS 10.2.1 or later. The app is designed in a way to support the older iOS versions also. The appendix is a new Cydia Tweak that works like a charm on iOS 8 to iOS 10. 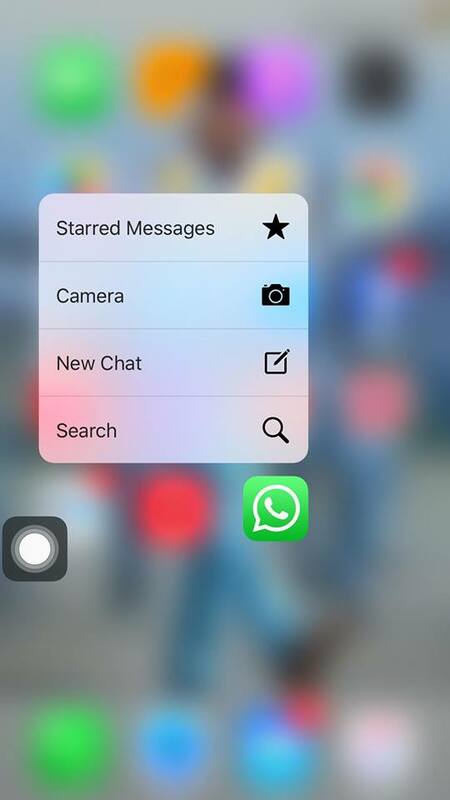 It will allow you launch the apps from folders using iPhone 6’s 3D touch gestures. There are no settings and configurations that you have to do. The app will work right after its installation on your iPhone or iPad. 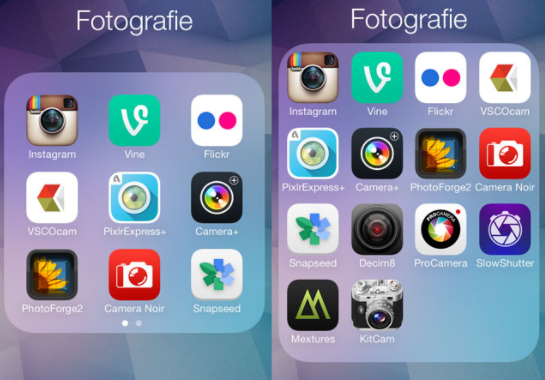 The Appendix app will show the four best apps with their names and icons. It will save time that you search for an app and open from the folder or home screen. Press and hold on any application on the home screen to reveal what are the menus it has. The app is available for free on Cydia Repo. 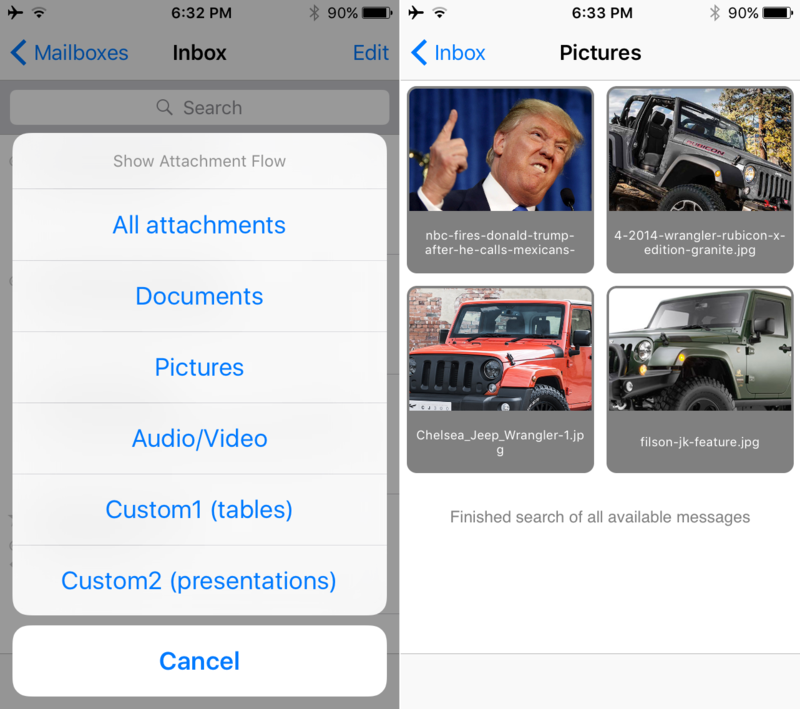 AttachmentFlow is one of the best Cydia tweaks for those who use mail app for attachments. It will help you see the email attachments that you have on your Mail App right from the Inbox View. AttachementFlow is a great Cydia app for you if you use mail app to send and receive attachments consistently. You can view and manage the attachments without even opening them. The app supports all formats of attachments like Music, Images, Videos, and Documents, etc. The app will show you the name of the attachments below the preview. View attached Pictures, Music in a gallery mode. Just give a click on whatever you would see. It will open up in a full-screen mode, thus helping you provide better user experience. Note: You need to download the attachments for AttachementFlow app to work and show up in a gallery view. Otherwise, the Cydia App will not be able to recognize what is there inside the email. Postman is one more best Cydia app that will check for new emails manually. In general, you need to open the mail app and pull down (refresh) to check for new emails in the inbox. That will distract you from your work and wastes your time. 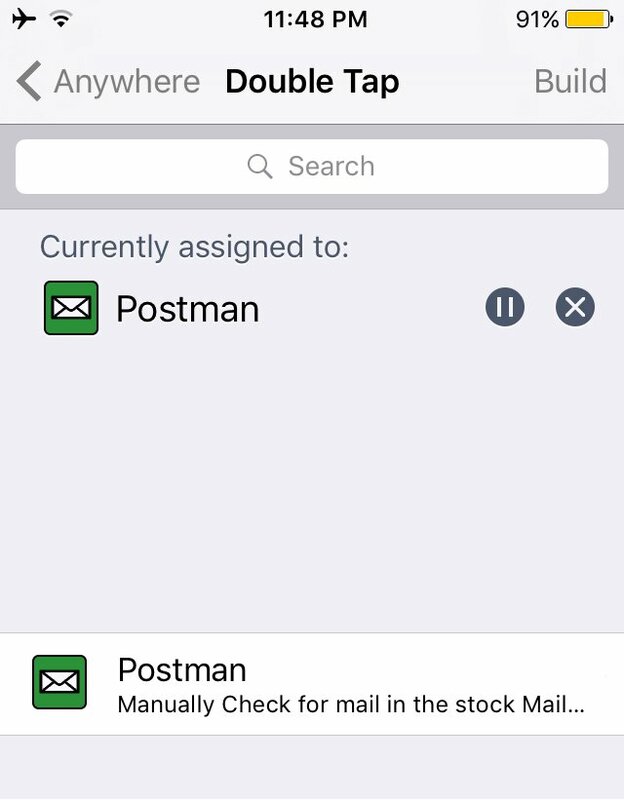 But, Postman activator will work on this, and it will notify you when you get new emails. You can configure the Postman Cydia App after its installation. Toggle on and off the Activator from settings menu with the requirement. AppLocker is a best Cydia tweaks to protect your privacy. You will never worry about your pictures and personal videos. AppLocker is the best way to protect your data with the high-level passcode. You can protect individual apps like Photos, WhatsApp, Videos, and Camera, etc. Premium AppLocker app supports Touch ID also. You can use this app on iPhone 6S, iPhone 6S Plus or iPhone 7S and 7S Plus. Use password option instead if your device doesn’t support the Touch ID. Battery life and health is a big issue for smartphones. The app will improve the life of the battery of your iOS device. It Works with iOS 6/7/8 and iOS 9. The latest version of BatteryLife app supports iOS 10 also. It is one more from the best Cydia apps for no jailbreak devices. The app will display the relevant information about the battery life and health on your iPhone or iPad. The app can be used in jailbreak devices also. 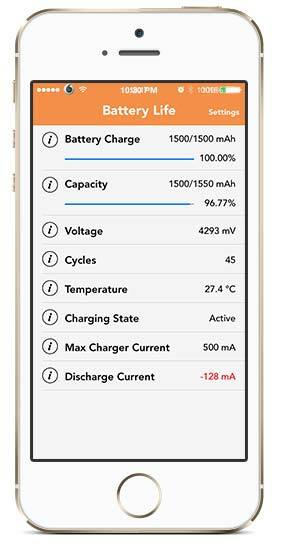 BatteryLife app can be configured in such a way to check the battery life in various measures like mAh, %, dis/charge. Battery temperature and remaining battery time will help you better analyse the tasks that you are performing on your iOS device before the battery is dead. 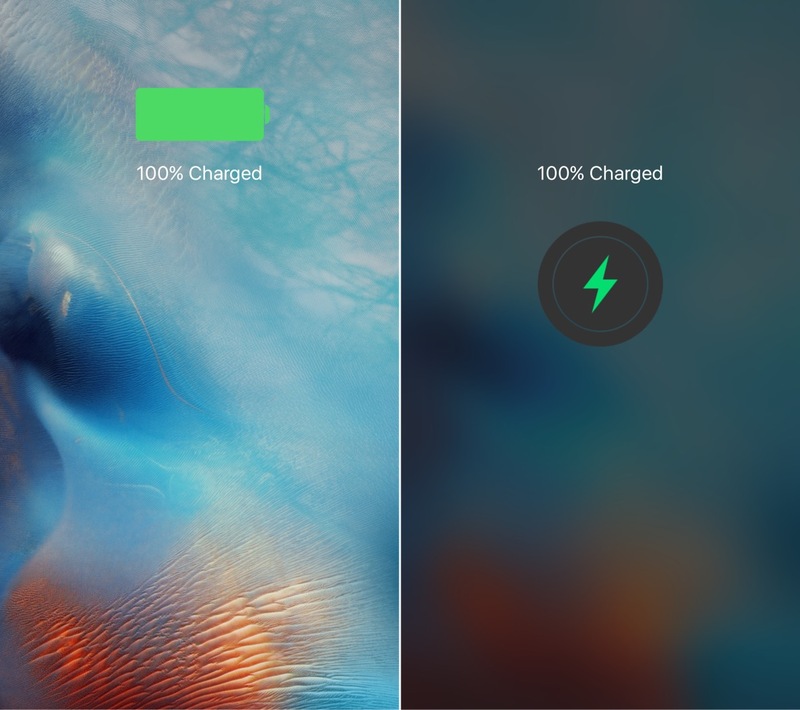 BatteryLife Cydia Tweak will help if you are unsure about the remaining life of the battery. It will better notify the remaining life. So that, you can decide whether to change the battery or not. Bigify is one of the best Cydia tweaks, using which you can alter the size of the icons on your home screen. Make the icons less cluttered while rotating to landscape mode. Bigify is not only meant to increase the size but reduces the size of the app. 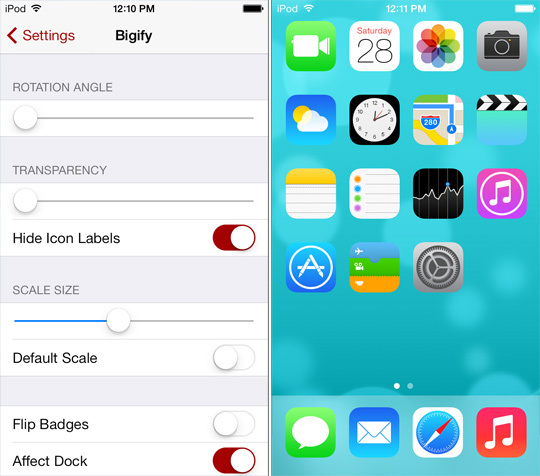 Bigify+ is a premium app with few more features to customise your iOS device. 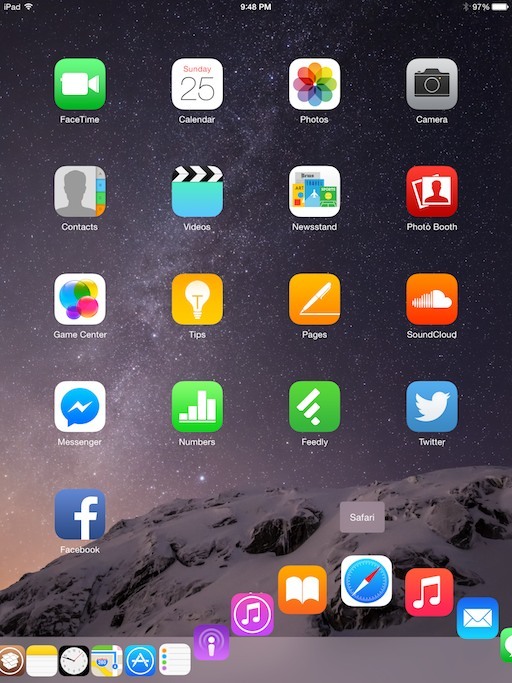 Experiment the icons with rotating them in different directions and get iPad looks to iPhone while in Landscape mode. Make the icons transparent, and it will help you display theme background. The Older version of Bigify app supports from iOS 4 to 8. The newer version of Bigify supports iOS 8 to iOS 10.2.1 and later. 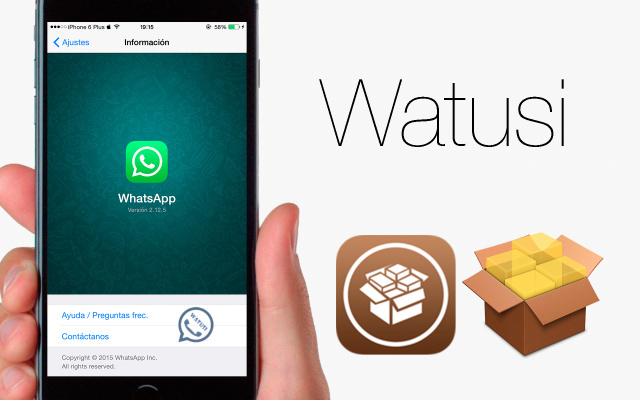 Watusi is an awesome Cydia tweak for WhatsApp. Privacy protection is the best use out of it. Boost your WhatsApp account with the best customizations. This Cydia App allows you Hide Last Seen, Typing indicator, etc. You can turn off the Read Receipts and Deliver reports to maintain privacy. With all such tweaks, you can check messages and reply them in your free time. Make your relation stronger and do not lose either your work or relationship. To prevent your WhatsApp from being easily accessible, you can lock it. Customise the group chats and hide some important conversations. Select any number of photos and send them to your chat heads using Watusi Cydia Tweak. Change font colour and add backgrounds to the chat conversations and modify the text size. Hide Call button, camera button and get good control over your WhatsApp account. NanoCharginView is one of the Top 50 Best Cydia Tweaks 2018. It will replace the lock screen charging to the NanoChargingView on WatchOS (Apple Watch). 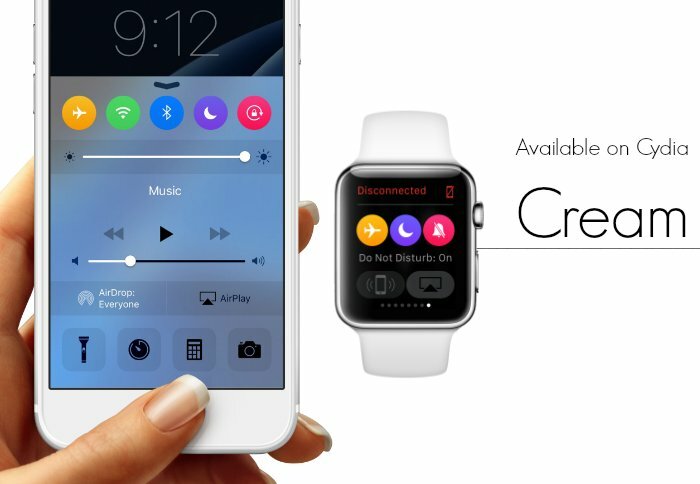 Enhance the look of your iPhone and make it look similar to WatchOS. Theralkae is an awesome option to customise the device and get more control on your iOS device. Bigboss is the developer of the NanoChargingView application. The app supports iOS 7 to iOS 10.2.1 or later. The app is compatible with iOS 8 and iOS 9 or later. 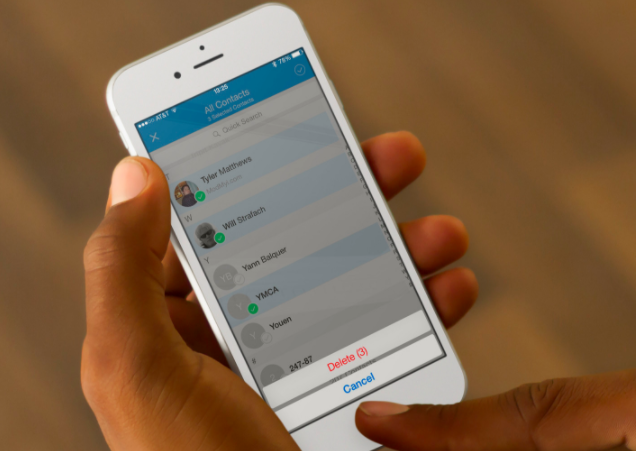 It is a simple tweak to delete contacts from the address book on your iPhone or iPad. Remove the single contact or multiple contacts by clicking on the trash icon beside the contact or application’s contact. The latest version of the Delete Contact Cydia Tweak has redesigned the settings. You can find this app at big boss repo here. Clex3 is the most recent version from Clex and supports iOS 9 or later. Whereas, Clex supports iOS 7 and Clex2 Supports iOS 8. It is one of the cool Cydia Tweaks to control your Music with Gestures. The app supports iPhone only and not yet compatible with iPad. The new look and gestures of the Clex3 app is the best way to handle music on iPhone. The Clex3 App has tremendous User Interface that can help you access music with ease. Invoke the features of Clex3 App by swiping from right to left on the touch screen. So it will show you the music information and provide you music playback controls. Moreover, Left to Right tweak is ClexBoard, and it has few plugins pre-installed. It will display the Songs, Albums, iTunes, and Playlists. You can buy this app for just 2.99 USD. AppDelete is one more Cydia tweak for better iPhone or iPad. The app will remove the cross mark on specific apps. This app will help you prevent app deletion on your iPhone or iPad. AppDelete has few more great options to customise. It supports iOS 9 or later. 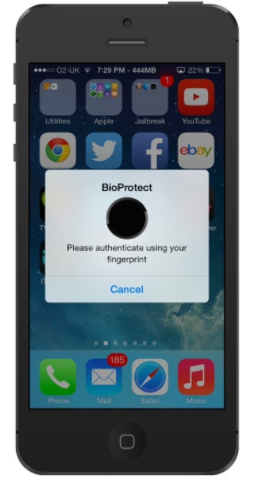 BioProtect is a best Cydia app to access individual apps with Touch ID. 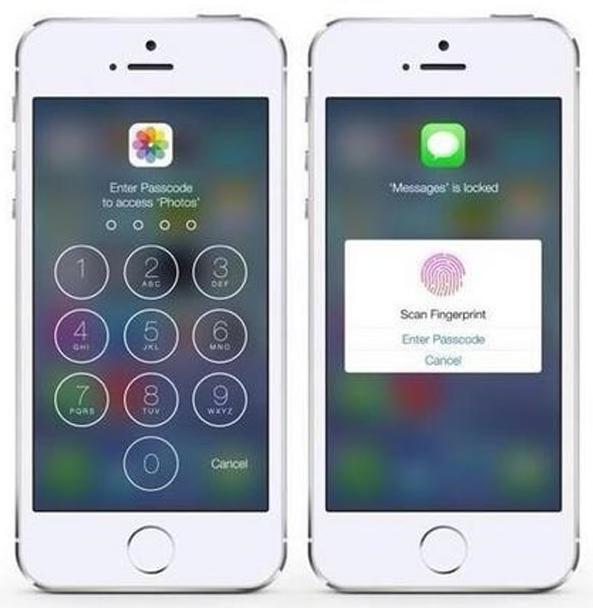 You can protect individual apps like Photos, WhatsApp or Videos and Facebook Messenger with a Touch ID. Touch ID-based app lock is the best way to protect the apps and privacy on your iOS devices. It will serve everyone who loves to have privacy for every application on their iPhone. BioProtect is compatible with iOS 8 or Later. The app is available at Bigboss Cydia Repo, and it will cost you around $2.99. You first need to configure and manage the settings of BioProtect app. For that, you may need at least one fingerprint. Later, you can put the Touch ID for individual apps. It is one of the Best Cydia Tweaks to Record iPhone Screen. 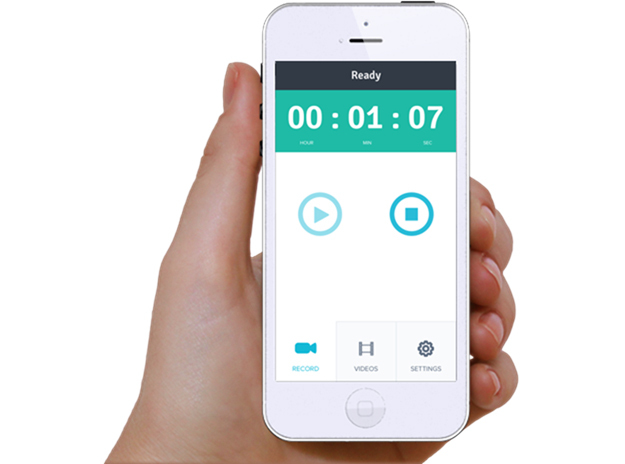 Display Recorder is the best application to record the screen of your iPhone or iPad. You can record the screen in High Resolution and save the video and share it wherever you want. Configure the settings for different frame rate and resolutions. Manage the activator gesture and assign the gesture to Display Recorder for quick recording. Later, you can add the video to camera roll after recording. 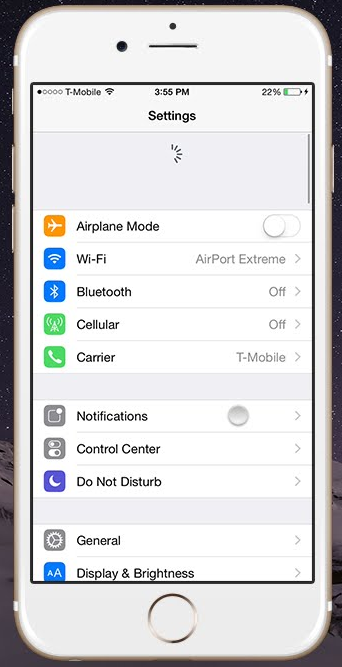 GuestMode is a tricky Cydia tweak to share your iPhone screen with another person safely. Giving the access to an individual may be limited. You can manage the apps that the person may not be able to use them. So that, you can keep the apps and chat conversations private. It is a premium Cydia app, and it will cost you around $0.99. Supports iOS 7 to iOS 10.2.1 and later. WinterBoard is yet another best free Cydia app. 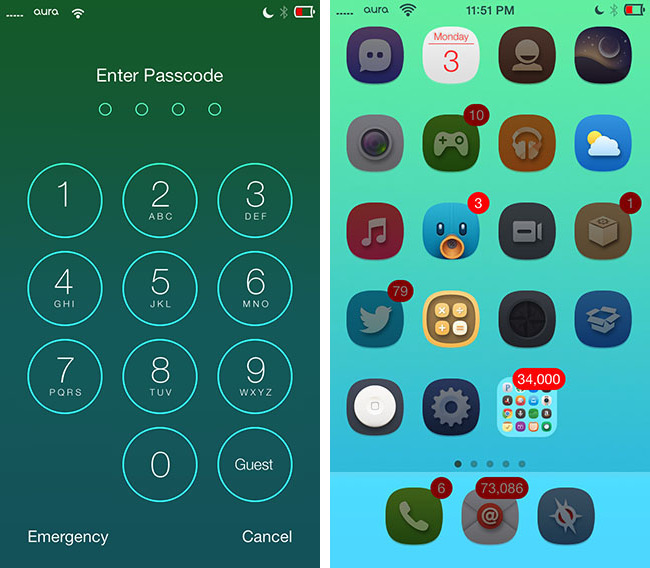 It will provide you a bunch of themes for iPhone and iPad. Browse your favourite them and install it on your iPhone or iPad for free. Get ultra-stylish looks to your iPad or iPhone with cool font styles from WinterBoard Cydia app. You can get the WinterBoard app directly from the Cydia App. Download and Install WinterBoard to access the Themes from it. Do not forget that you need to reboot the Cydia and your iOS Device. Sara is one of the alternatives to Siri. 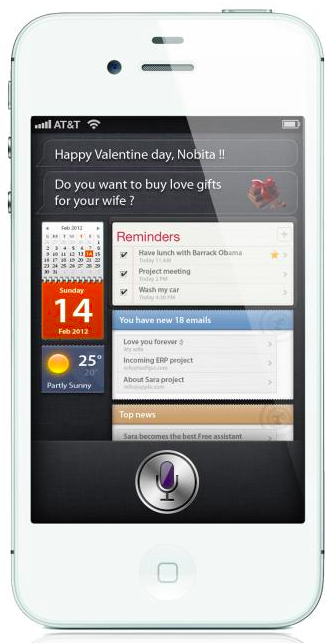 It is a voice assistant and works on all iOS devices except iPhone 4S. Compatible with iOS 4 or Later and works pretty well with iPad Air, iPhone 3GS, etc. Sara can be downloaded and installed from Cydia and works well with Non-Jailbroken and Jailbroken devices too. Protube HD is a better alternative to the default YouTube app on iPad or iPhone. You will have all options of youtube, Comment, Like, and Share. Along with that, you will have a bunch more options that you can use. Watch videos and stuff that you like in a High-Resolution clarity. Download any number of videos with just a single click. It will be simple to get videos to your iPhone without much hustling. Protube is a paid app, and you need to pay some bucks to utilise its features. The Super awesome trick to get paid apps for free on your iPhone will help you install ProtubeHD app. 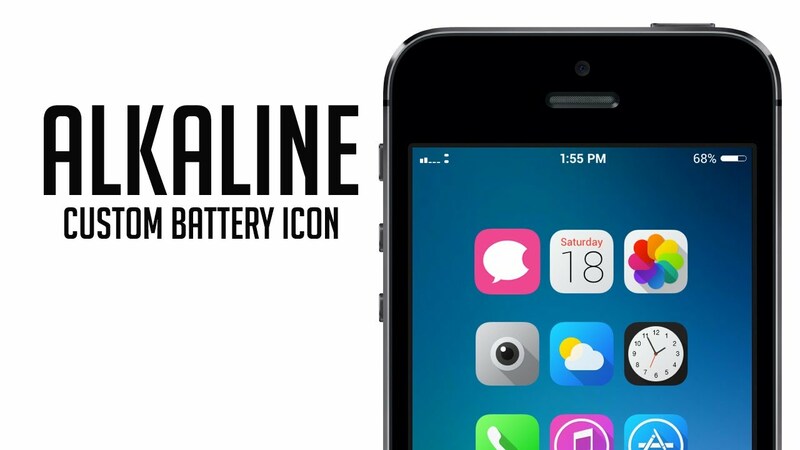 Alkaline is way better than Cydia tweaks for battery 2018. You can get this app from ModMyi repo, and it is a free application. It will help you customise the icons on the status bar of your iPhone/iPad. Change the clumsy status bar icons on notifications area and make them look better. You will be able to alter the icons of Battery, Wifi, Bluetooth, and Network strength indicator, etc. on the status bar. 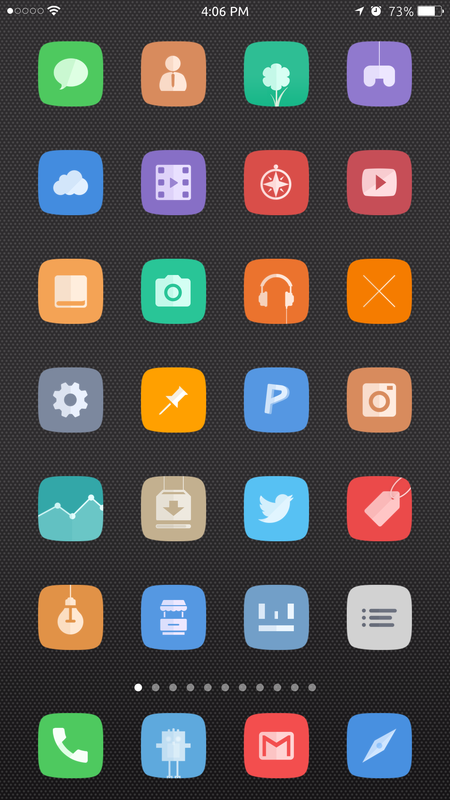 You can choose from various available themes of Alkaline. Here comes one more from the list of Best Cydia Tweaks of 2018. It is the best Cydia app to kill reset all on your iPhone. It will be too challenging and dangerous to rest your iPhone or iPad sometimes. 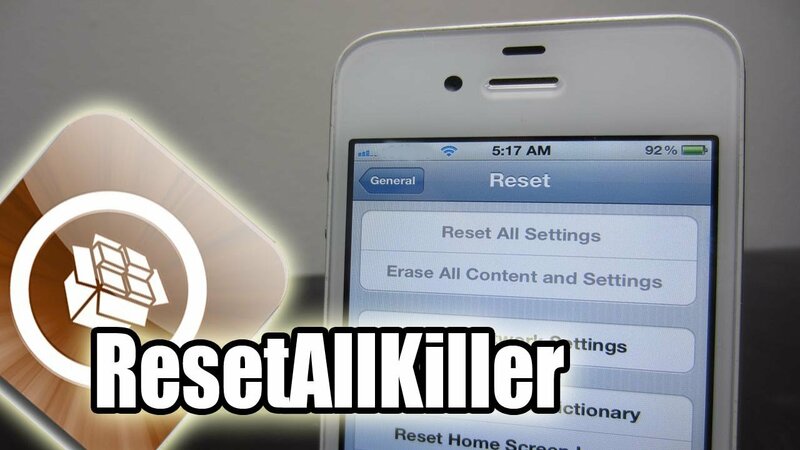 In case if you perform resetting, you can kill that using ResetAllKiller Cydia Apps. In general, ResetAllKiller app will disable “Reset All Settings” and “Erase All Content and Settings.” So that you never need to worry about losing data on your iPhone or iPad. It is an entirely free application. AnySpot is the best solution for system-wide Spotlight search. This app is compatible with iOS 9 and iOS 10.2.1 or later. You may have some knowledge on the default spotlight search on iPhone or iPad. You can perform spotlight search option on by swiping down from the springboard. But, AnySpot is entirely different from a default spotlight search option. It will be a quick solution to search files and contacts from anywhere on your iPhone or iPad. AnySpot app will help you find the files and whatever on your iOS device without closing the current application. You can assign different gestures to make it more accessible. 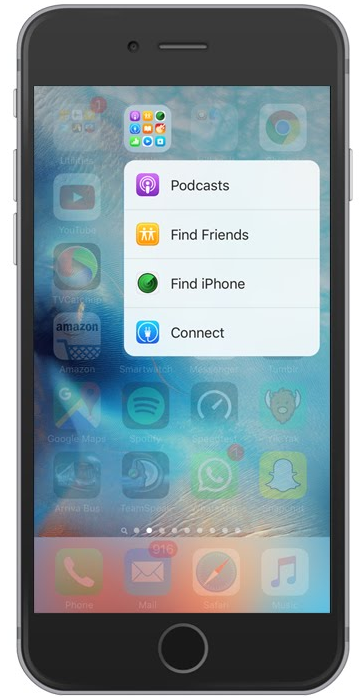 Swipe down or flip switch anywhere on your iPhone and search for everything within your device. BytaFont 3 is an amazing trick to change the font style on your iOS device any number of times. In general, it is not possible to modify the default system font on your iPhone or iPad. But, the BytaFont 3 for iOS devices will do that. 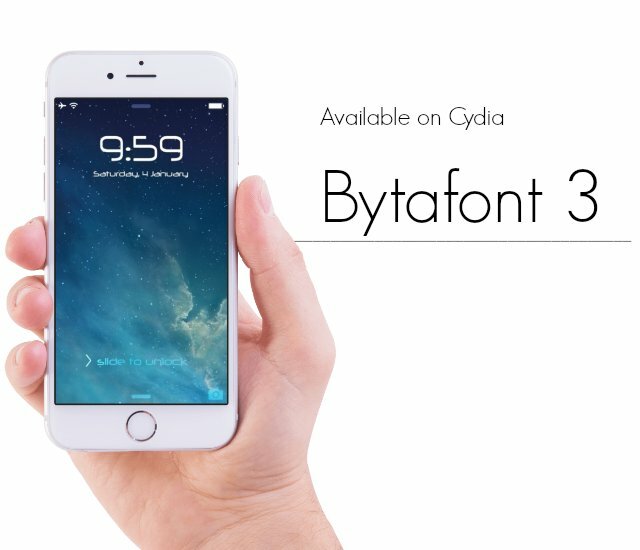 It is the 3rd version of BytaFont application from its developers with better support and more advanced features. The application supports iOS 9 or later and compatible with all versions of iPhone and iPad. Choose the font style that you would like to have. You can use the path; Sources >> All Sources >> Fonts. Install the font that you like and have fun. It is one of the Best Cydia Apps for Youtube in 2018. 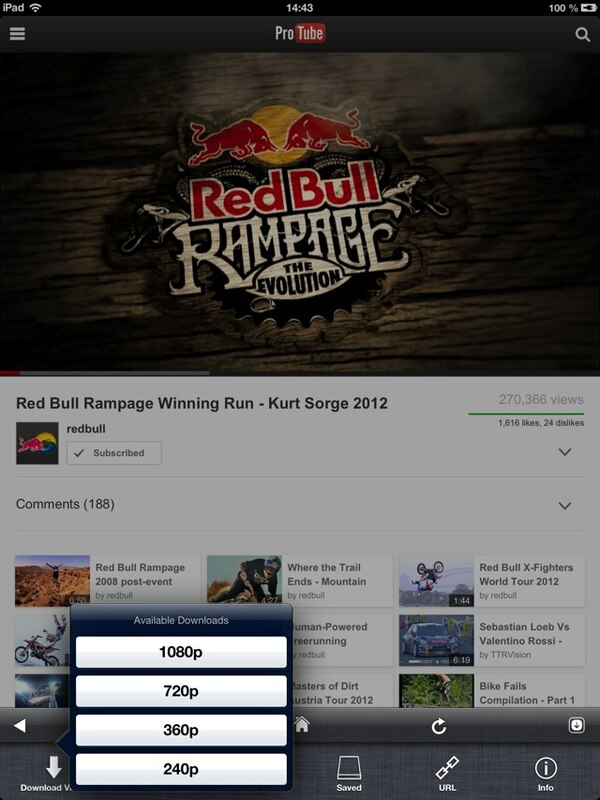 It is a simple extension for youtube, and it will add the download button to youtube app. We all know downloading videos from youtube is not possible. Of course, we can save them for offline use, and we cannot share them outside. 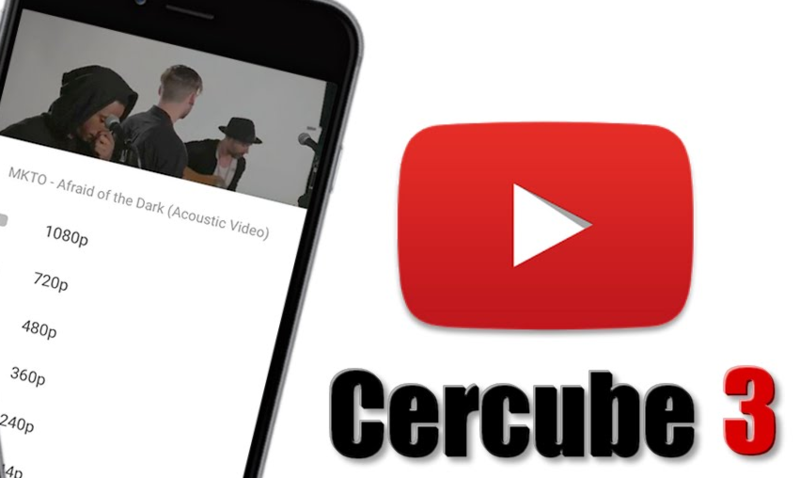 But CerCube 3 will add the download button, and you can download videos from youtube app, unlike offline youtube videos. You need to notice that this is the latest version of CerCube app and supports all iOS devices. Not only, downloading but also it will add few other options to youtube app. You can download the audio only from youtube videos. Block the ads and promotions to save your mobile data. Respring is a cool feature of iPhone or iPad to refresh apps and games. But, have you ever imagine respringing settings menu?. This option is a must have for iPhones that have Cydia installed. You can instantly apply and refresh settings without any time waste using PullToRespring. It can be one more from Best Cydia Tweaks for iPhone in 2018. Respring will work with Swiping down on the touch screen of your iOS device. It is the awesome tweak to refresh the app settings, etc. Looking for the best Cydia tweak for folders?, Get it now then. Folderenhancer is a perfect solution for you. Create nested folders without bugs and group the icons to one place. Create a number of rows and columns of apps and folders. Make the size of the apps and folders bigger. Customise built-in animations for folders anytime and set them accordingly. You can have a lot more tweaks with this cool Cydia app 2018. Let me tell you an important thing, it supports iOS 7/8/9 and later. Sparrow+ is one of the best alternatives to stock mail app on your iOS. It is a third party email client and now available in Cydia. Of course, you can download Sparrow+ from the BigBoss Repo on Cydia anytime. 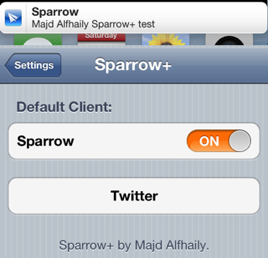 Use Bydia in case if you are not able to get Sparrow+ Email client from Cydia. Sparrow+ is the latest version of Sparrow, and both serve the same purpose but the most recent one is a bit advanced and bugs fixed. Receive, read the emails and save them as a separate bunch to access later with ease. The most recent update to the app has got Push Notifications, and it will inform you all the time. Moreover, you can set Sparrow+ as a default email client, or you can use it as an alternative along with the stock email app on your iPhone, iPad. 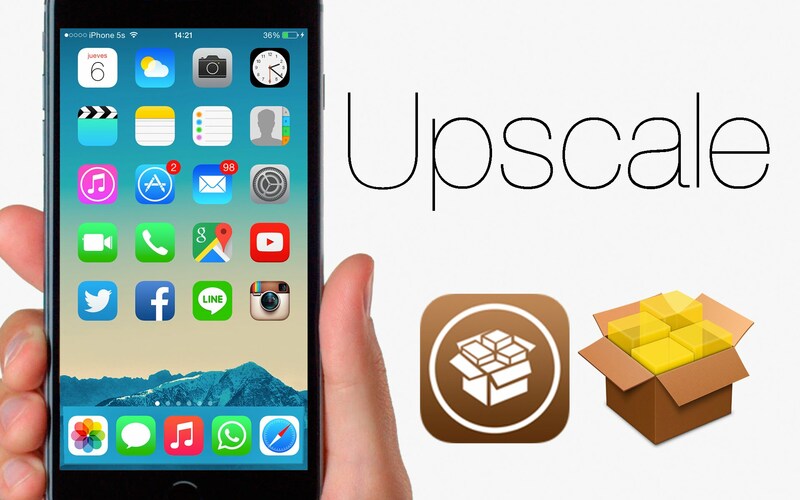 UpScale is one of the Best Cydia Tweaks for iPhone 4s, 5s, 5c or older iPhone/iPad models. You do not need to worry about the resolution of your iOS device. UpScale is the best solution for such issues. You can change the resolution of your iPhone or iPad and make it crystal clear. Best of the Cydia Trick is, It is completely free for lifetime. You can find this at http://repo.bd452.com and install it without any delay. We can say that Activator is one of the top cydia tweaks for a jailbroken iPhone. Activator works in activating your alarm for the next day for the same time you have configured and it will also help you change the songs using the volume buttons. So, we can say that it works on complete automation starting from changing the songs to all kinds of actions on your iPhone. Activator is not limited to a particular version of your iOS operating system. It will support iOS 10 and you can mix up things that has got great attention from users on iOS 10. This is a nice app if you are using a Safari Web browser on your iPhone or iPad. It will help you change the default browser on your iOS device to any other third party browser apps. So that you can get access to many more features of the Browser that you are going to use other than a Safari Web Browser. So, you are going to use a third party browser apps whenever you try to open any web page from any app or game. Moreover, it will help you stick not to a default safari web browser. Auxo 3 is the finest cydia app that enables the opportunity to get a combined look of the brand new iOS 11 Control Centre and the App Switcher. In simpler words, you will be able to get the control centre along with the app switcher menu. You can get it for $2.99 for a single iOS device from Cydia. I hope the Best Cydia Tweaks 2018 mentioned above help you somehow. I am going to update few more Best Cydia Apps that can help your device come handy. Of course, the list will be updated every day, and new Cydia tweaks will be added. I would like to hear you in the comments. Comment down your favourite Cydia tweak or let me know if it is not listed above. Thank You. cool techniques in this regard, thanks for sharing. . . . . .